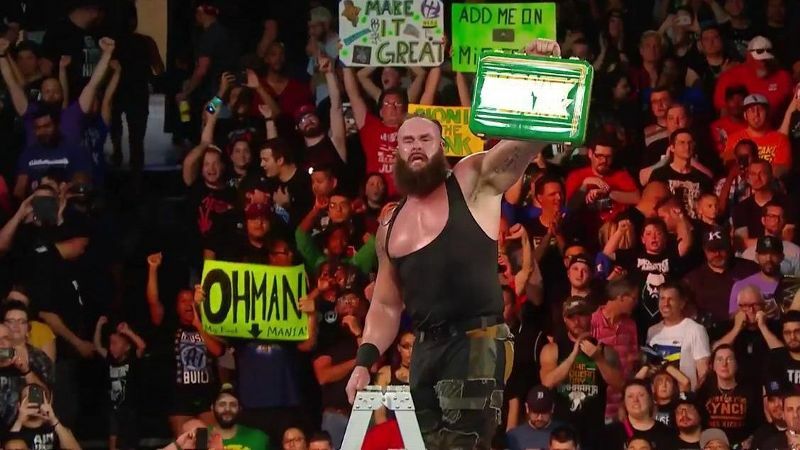 Ronda Rousey impresses at Money in the Bank, but Alexa Bliss spoils the match and eventually cashes in her briefcase to become Raw Women's champion. ROSEMONT, Ill -- In just the second televised WWE match of her career, Ronda Rousey appeared poised to defeat Nia Jax Sunday night at the Money in the Bank pay-per-view to become the WWE Raw women's champion -- until an attack by newly crowned Money in the Bank winner Alexa Bliss forced a disqualification. Alexa Bliss cashed in her Money in the Bank briefcase and won the WWE Raw Women's Championship. On a night that proved the fictional world of WWE is far different from the very real world of MMA fighting, Rousey was hit by a metal briefcase in the moments before it seemed as though she'd walk out of the Allstate Arena as champion. Instead, after winning a ladder match earlier in the evening, Bliss cashed in an opportunity and walked out with the title in hand instead. 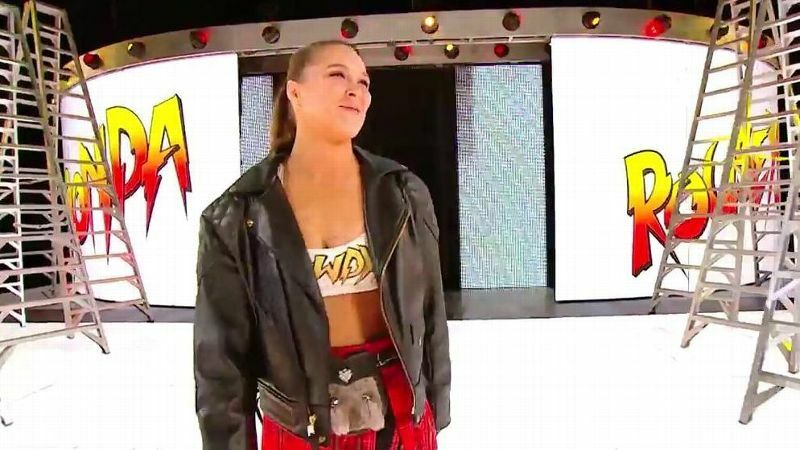 After Rousey debuted in her first ever match at WrestleMania 34 -- a tag team victory alongside Kurt Angle against Triple H and Stephanie McMahon -- Rousey seemed likely to ascend to the top of the scripted WWE ranks as quickly as she did in the world of mixed martial arts. This was a fascinating turn of events. Even prior to Alexa Bliss's cash-in, Rousey once again proved that she belongs in the WWE. Her battle with Jax was ultracompelling with top-notch storytelling. The former UFC and Strikeforce women's bantamweight champion absorbed her fair share of pro wrestling punishment along the way Sunday night, including a powerbomb and a toss into the ring barrier on the outside of the ring. But after Rousey hit a move reminiscent of Dwayne "The Rock" Johnson's Rock Bottom and broke Jax's grip to set up an armbar, Bliss swung her Money in the Bank briefcase and nailed Rousey in the back -- bringing the match to an abrupt end. Ronda Rousey faced Nia Jax in her first singles match in the WWE. In the world of WWE, such an attack all but guarantees a future match between Rousey and Bliss. Rousey officially signed with the WWE in January and made her first contracted appearance at the Royal Rumble pay-per-view in Philadelphia. Over the course of her five-and-a-half-year professional MMA career, Rousey won her first 12 fights -- 11 of which she ended in the first round -- before a pair of losses to Holly Holm and Amanda Nunes.